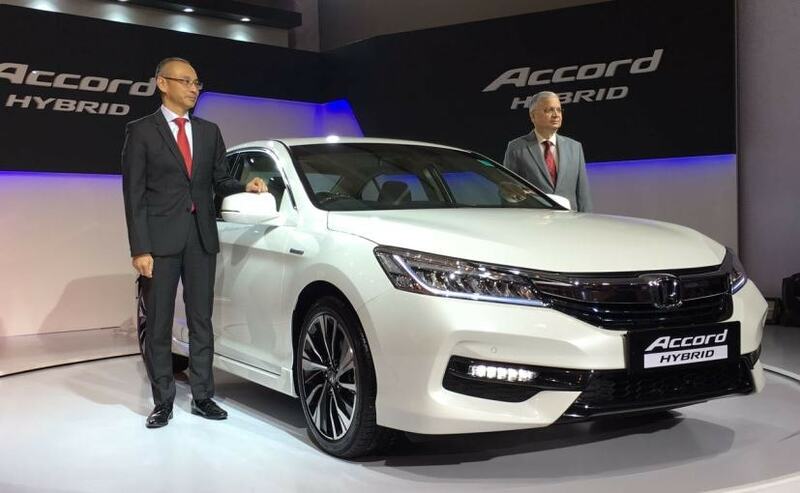 Honda Accord Hybrid, the popular D-segment sedan from the Japanese carmaker today finally went on sale in India priced at ₹ 37 lakh (ex-showroom, Delhi). The car has come back to India after a hiatus of three years and it is the ninth-generation model that has been launched in the country today. The car comes with a conventional hybrid system that runs on the combined output of a petrol engine and two electric motors. Honda claims the new Accord can return a impressive mileage of 23.1km/l. 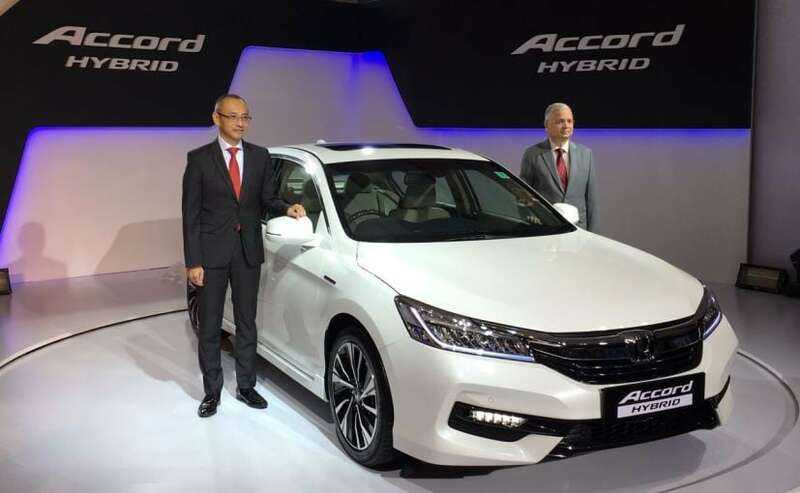 The all-new Honda Accord Hybrid comes to India via the CBU (completely built unit) route and only a hybrid powertrain under the hood, which, to an extent, justifies the heavy price tag. Incidentally the car is over ₹ 6 lakh more expensive than its closest competitor - the Toyota Camry Hybrid. While the Accord will also compete with the upcoming Volkswagen Passat GTE, based on the price point, the new Accord has also reached the vicinity of luxury sedans like - the new Audi A4, Mercedes-Benz C-Class and the BMW 3 Series. In other parts of India, the car is priced at ₹ 40.57 lakh (ex-showroom, Bengaluru) and ₹ 40.14 lakh (ex-showroom, Navi Mumbai). As we mentioned in our Honda Accord Hybrid review, the sedan's powertrain combines a conventional 2.0-litre, 4-cylinder, naturally-aspirated internal combustion engine with an electric motor powered by a 1.3 Kilowatt/h lithium-ion battery pack. While the petrol engine churns out a maximum of 145bhp and 175Nm of peak torque, the electric motor puts out 184bhp and a peak torque of 315Nm. The Honda Accord hybrid's combined power output is rated at 212bhp. 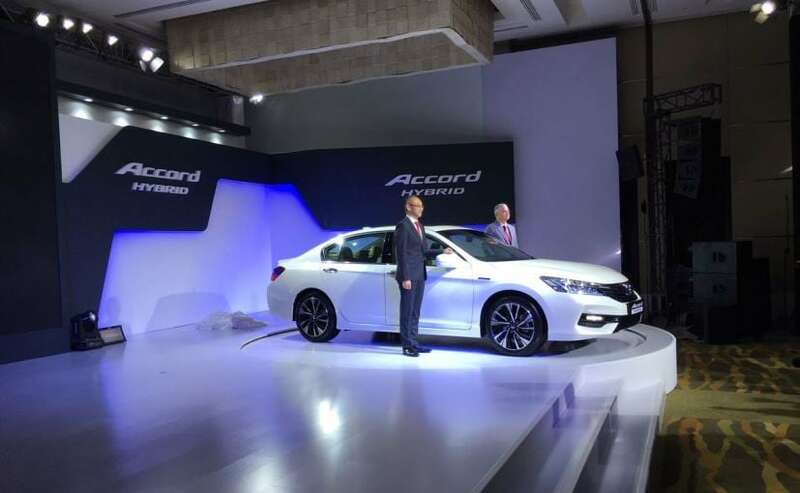 As for the car's exterior profile, the new Accord's overall design is edgy - it gets a sporty front bumper with gloss black element in the centre, chrome and black grille, full LED head-lamps, daytime running lights, LED fog-lamps, 18-inch two-toned diamond cut wheels, etc. At the rear, it receives a well-crafted bumper, LED combination tail-lamps, and built-in boot spoiler. There are subtle blue accents around the headlamps and taillamps that hints at the car's hybrid nature. 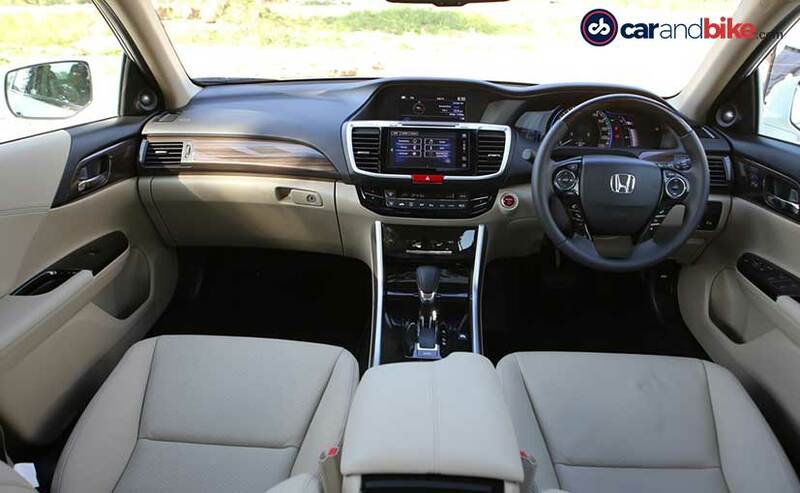 The new Accord Hybrid comes in a total of four body colour options - White Orchid Pearl, Lunar Silver Metallic, Modern Steel Metallic, and Crystal Black Pearl. Inside, it sports two central screens; while one is for the infotainment system, the other, mounted slightly away from the driver, displays engine modes and how the drive is being transmitted. The Honda Accord hybrid's list of provisions includes passenger side camera, two-stage climate control, cruise control, sun-roof, and support for both Apple CarPlay and Android Auto among other things.